Tough quick drying industrial paint, gives maximum protection on metal, wood and other substrates. Allow 24 hours for paint to harden. Hazard safety codes: F+, Xi, R12, R36, R66, R67. 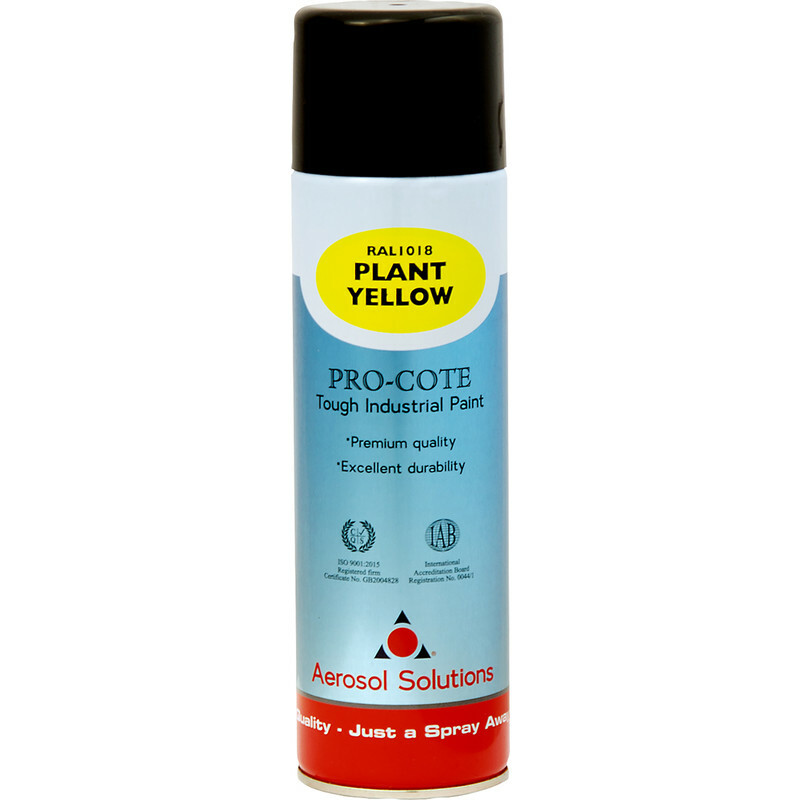 Industrial Spray Paint 500ml Plant Yellow is rated 4.6 out of 5 by 101. Rated 5 out of 5 by Ray Widnes from I have bought this product a number of times This is a large, 500ml can of spray paint. I buy Jet Black which gives a gloss finish. I always like to have a couple of these at home to use on outside metal work including Obelisks, railings etc. Very good finish, economical and easy to use. Rated 5 out of 5 by Kevo144 from Bright yellow paint I now have a very bright yellow trolley jack.... I can now find it anywhere! Excellent coverage and finish - best I can find for the price. Rated 5 out of 5 by Wwwwwwwwwww from Good silver paint Flows well, good quality for the price. Rated 5 out of 5 by Gdad from Return purchase Used this product several times before on small fabrications, brackets etc. Providing the metalwork has been correctly primered before hand, this paint gives excellent results. Also very economical in comparison with other notable paint aerosols.